Fiji Football Association’s North development officer Iosefo Vosaboto has been given the opportunity to guide the Babasiga Lions in defending the Courts Interdistrict Championship title. Speaking to Fiji FA Media, the former star goalkeeper said he was blessed to coach the defending champions. “I’ve been part of the Vodafone national team as goalkeeper and coaching a premier division is just a blessing for me,” he said. Vosaboto said preparation is going well and players are looking forward to the start of the tournament. “Our preparation is going very well with some new players and those from our youth team as well. Vosaboto said there was no difficulty in coaching Labasa team with the modern style of football. The former national goalkeeper said defending the tournament would not be an easy task. He said they would do the best to defend the title and the players and officials are working very hard on it. “We’ll do our best to defend our title as the morale in camp is high and the players are looking forward to the tournament,”Vosaboto added. He reiterated that they would be taking each game at a time. 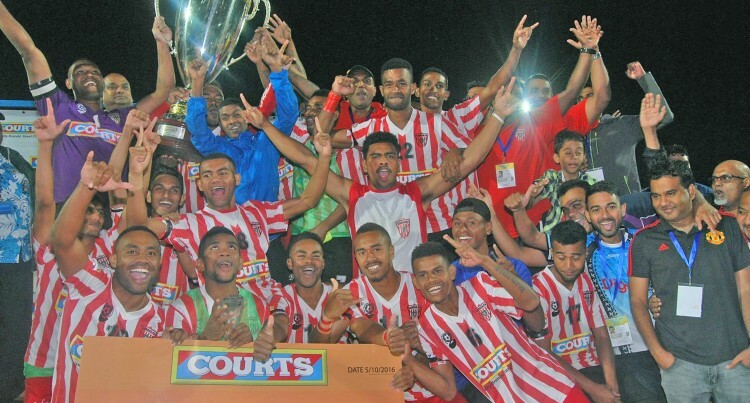 Labasa have won the IDC four times and were runners-up three times. They first won the tournament in 1992 and again in 1994, 2011 and 2016. The 2017 Courts IDC will be played at Churchill Park in Lautoka from October 10-15.